Detective Javier Chavez is in charge of policing the family homeless shelter in Mivdvale as well as the surrounding neighborhood. In June of last year Rio Grande street was hot, loud and crowded. 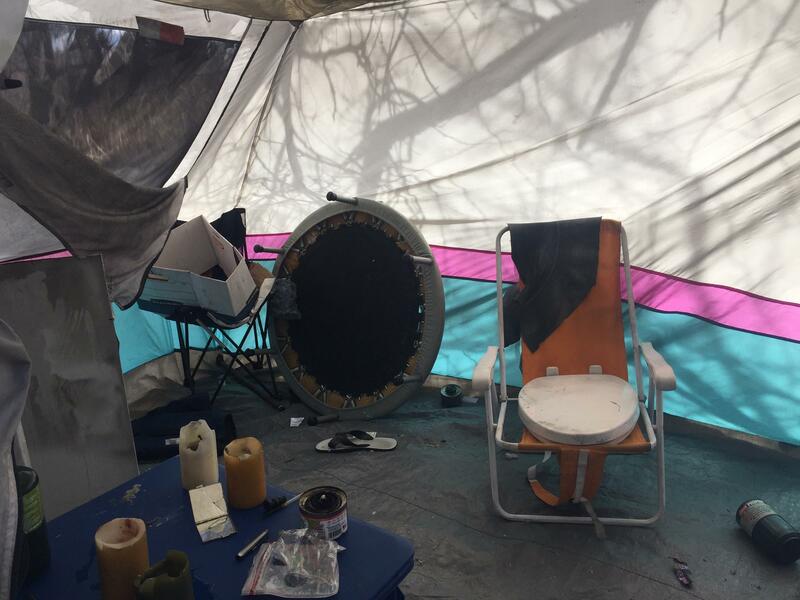 Dozens of people gathered around a white tent, where the nonprofit Utah Harm Reduction Coalition handed out clean hypodermic needles to drug users. It used to be a lot easier to buy heroin and spice in the neighborhood. The needle exchange program came here every week to try and stop the spread of disease and infections that come with intravenous drug use. Utah Harm Reduction Coalition did exchanges twice a week outside The Road Home prior to Operation Rio Grande. Flash forward to this March. “The Block” as it’s sometimes called, looks and feels a lot different. The crime and drug crackdown Operation Rio Grande forced hundreds of people out of the neighborhood. It’s heavily policed. And there’s a fenced off area outside the shelter where people getting services can stand without getting hassled by drug dealers. 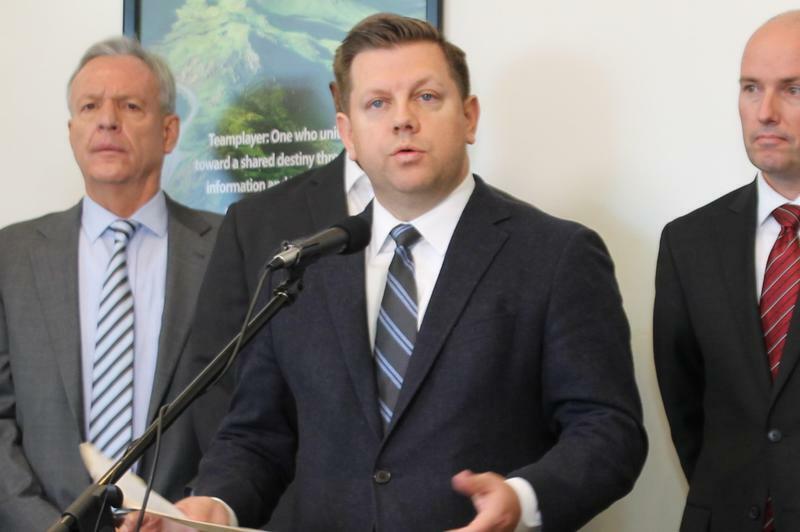 But for Utah Harm Reduction Coalition, it’s no longer a convenient location to reach desperate clients. The exchanges no longer feel like feeding frenzies. “We were asking people in the months right after Operation Rio Grande, where is everybody?” Said Ruth Urquhart. She worked alone at the needle exchange mobile unit outside Pioneer Park on a rainy March afternoon. A man with a backpack came to the door and asked for new needles. Then he moans that he needs heroin, and can’t find any. Urqhuart told the man she couldn't help him with that and sent him away with fresh supplies. The coalition served about 2,000 people the month before Operation Rio Grande started. The following month, they only served 100. Urquhart says they’ve started doing exchanges five days a week instead of two to reach people they’ve lost. And they’re trying to get out to more areas of the state. The need is still there. 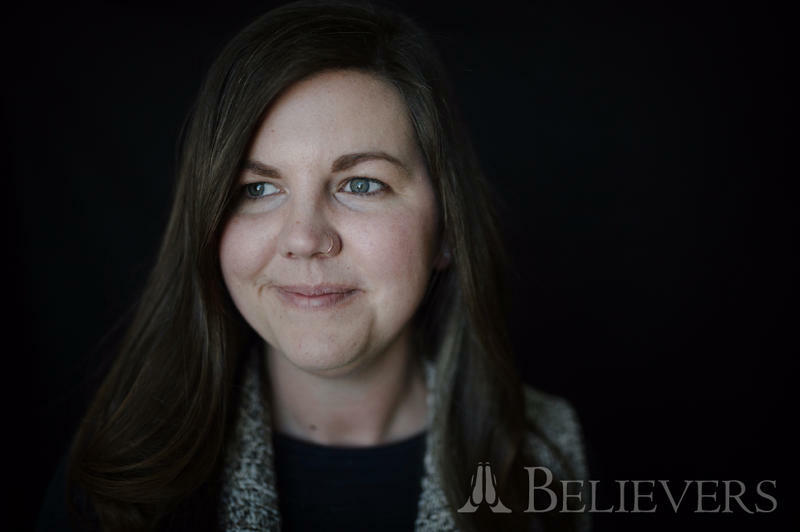 Urquhart recalled a recent encounter with a client she hadn’t seen in a while. Since August, law enforcement have booked more than 3,000 people into the Salt Lake County jail as part of Operation Rio Grande. Fewer than 350 remain there. The rest were released back into the community. Some are getting treatment. Others simply picked up and moved to surrounding neighborhoods and cities. The Road Home says there’s been no dip in services, which means law enforcement didn’t scare away people who are their to get help. But it’s this other population — this Rio Grande diaspora — that has residents, businesses and public officials worried about the safety and security of their communities. Unified Police Detective Javier Chavez said the operation has had a significant effect on Midvale. “We’ve been getting a lot of new faces that we never seen before,” Chavez said. 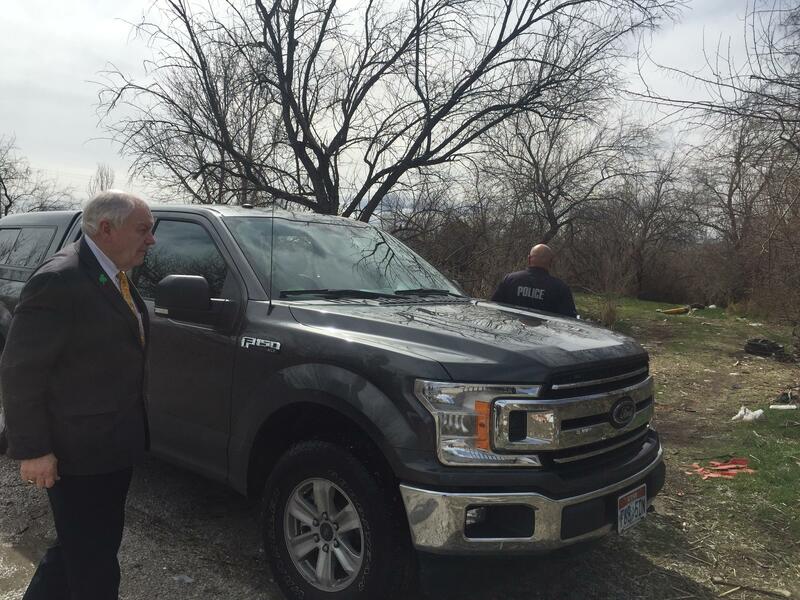 Midvale Mayor Robert Hale rode through the city in a truck last month to get a look at the problem. Midvale Mayor Robert Hale and Unified Police Detective Javier Chavez visit homeless camps along the Jordan River. Midvale’s been proactive. That’s because they’ve had some time to prepare. The city was once home to a winter overflow shelter, but that became a year-round family shelter in 2016. 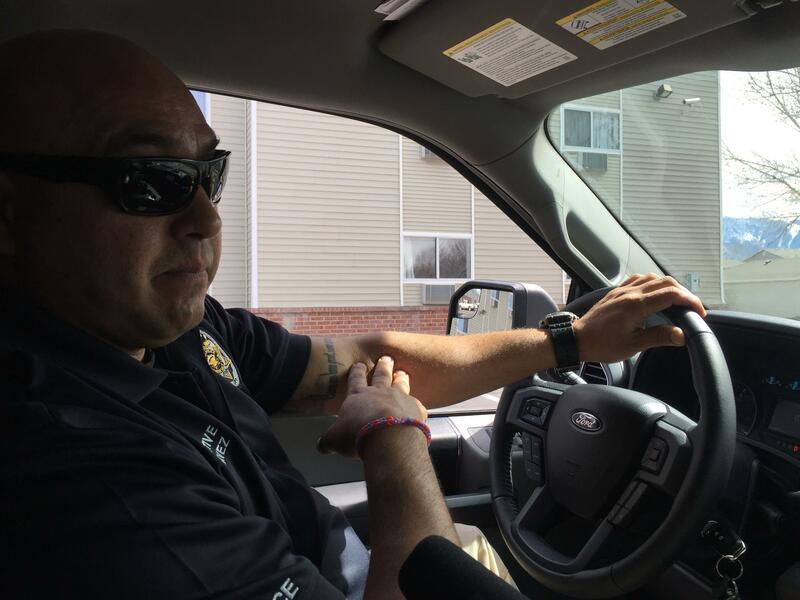 The city hired Detective Chavez to keep an eye on the place and patrol the neighborhood. A tent along the Jordan River was abandoned for the day. Detective Chavez left note, warning the occupants that they have to clean up the camp or face a fine. Chavez said he has a good relationship with families in the shelter. They often tip him off to illegal activity. He patrols the surrounding neighborhood looking for transients who Chavez said refuse to stay at the shelter because they don’t want to follow rules. And he works closely with local businesses — strictly enforcing no loitering signs on private property. Chavez pulled up to a man standing outside a gas station and asked him what he was doing. The man told Chavez he’s waiting for his family. But when Chavez asked where his family is, he stammered. “See that sign over there that says no loitering?” Chavez said. “It kind of doesn’t allow you to hang out and do nothing. Where you staying at? You from downtown?” he asked. Chavez has this kind of interaction every day. It’s the sort of hands on neighborhood policing that South Salt Lake wants to copy. South Salt Lake Police Chief Jack Carruth said his city has also seen an increase in transients and crime because of Operation Rio Grande. The city already hosts the Salt Lake County Detention Center— so inmates released from jail end up in South Salt Lake. “We essentially have a secondary contact with anybody that was arrested in Operation Rio Grande,” Carruth said. Carruth is also preparing for a new men’s homeless shelter next year. Right now, he has only one officer who’s dedicated to handling homeless issues. The Department of Public Safety has received about 30 calls and emails on the public tip line since the operation started. Public Safety Commissioner Keith Squires has been fielding questions and concerns from local law enforcement. Squires said he’s standing by the phone, but the reality is only one law enforcement agency has called asking him for help. Utah Gov. Gary Herbert just signed a bill that provides funding to cities that host homeless shelters so they can hire more police officers. Midvale is asking for two new officers. South Salt Lake Police Chief Jack Carruth said his city is asking for a dozen. I honestly don't want to be a chief that stands in front of the news camera saying that we need to regain control of our city. South Salt Lake Police Chief Jack Carruth. But homelessness is not just a law enforcement issue. Hiring police officers won’t solve the affordable housing crisis. It won’t open more detox beds,which are in high demand. And it won’t give people a place to sleep at night. When The Road Home downtown closes next year, Salt Lake County will lose about 400 emergency shelter beds at a time when Utah’s homeless population is up slightly. They’ll need a place to go. Otherwise, cities will continue to see interactions between police and homeless people — like the one in Midvale between UPD detective Javier Chavez and the man outside the Midvale gas station. The folks who left Rio Grande this summer will just keep getting shuffled along.